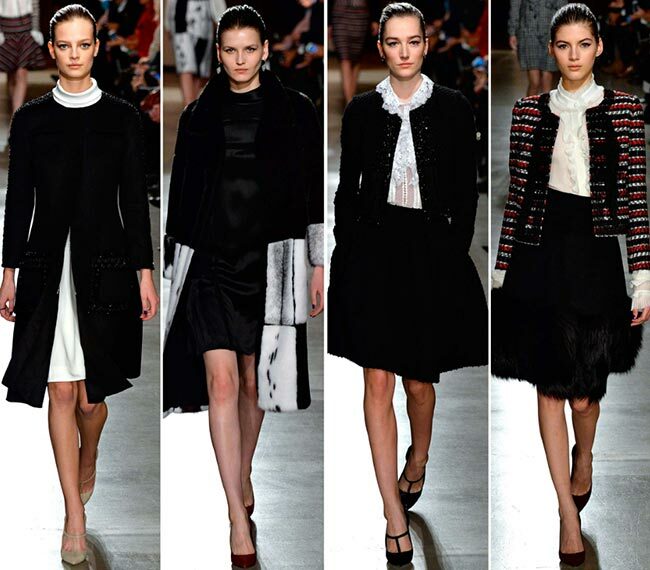 Dominican American fashion designer Oscar de la Renta once wowed the world with his incredible designs. His death on October 30, 2014, less than 4 months ago, has certainly left a hole in our hearts and was a major loss for the fashion world. The Oscar de la Renta fall/winter 2015-2016 collection‘s reveal on the New York Fashion Week runway has been a celebration of his life and in memory of his passing, with his successor, Peter Copping, presenting his first show for the fashion brand. It was a bittersweet day, with an incredible designer taking the place of Oscar de la Renta as Creative Director of the label and assuring everyone that he would stay true to the late artist’s legacy, with a line-up that would do the man quite proud. The former artistic director at Nina Ricci, Peter Copping was chosen by de la Renta himself, with the older man claiming him to be a great talent and one who shares both design sensibilities and a deep curiosity for the wider world. This, of course, included everything from music to art to architecture and gardens as a whole. With this type of praise over his head, we had been waiting in anticipation to see what he would be creating next. 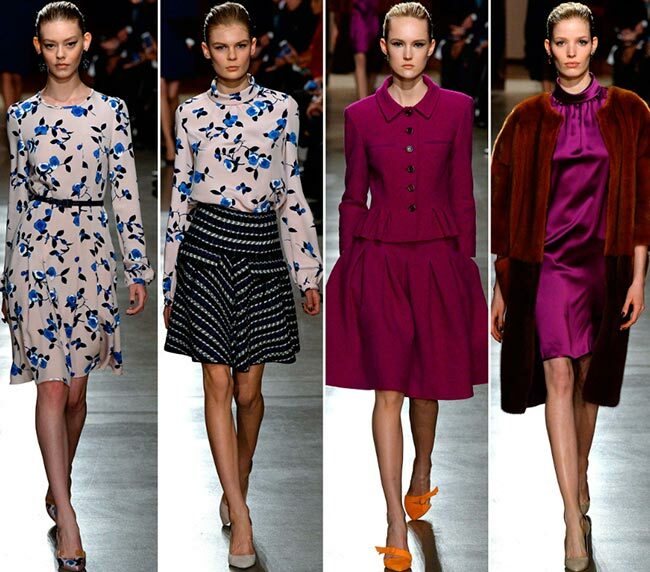 As it turns out, our beloved Oscar de la Renta brand will live on with the same air it always has. The night was all the more eventful with the late designer’s widow sitting in the front seat and women like Barbara Walters, Nancy Kissinger, Mica Ertegun, and Anne Bass flanking her; these are the dames that made the label what it is today by actually purchasing the pieces as opposed to falling into the trap of borrowing for promotion’s sake. Karlie Kloss and Taylor Swift perched like guardian angels on the other side, a symbol of the past and the present and the guarding of the future that is yet to come for the fashion house. “We shared a lot of common territory,” Peter Copping had stated “The sort of woman we appreciate, and going beyond that, gardens, homes, all of that sort of thing: We speak the same language.” For a man to have to fill such large shoes is no easy feat but it appeared that Copping took it all in stride and within a three month time period has produced an incredible line-up that is both an ode to the past and a burst of youthful exuberance that was missing from the past pieces. Since his time at Nina Ricci had included the same feminine codes as the Oscar de la Renta house, he was at an advantage and quite in his element. Coat dresses and skirt suits opened up the Oscar de la Renta fall/winter 2015-2016 collection and they were as elegant as can be expected from the line, and just as luxurious, if not more. Unlined lacing on the bodices was used and new necklines created, while the coloring was even lovelier, taking on hues of midnight blue, violet, chartreuse and bordeaux. 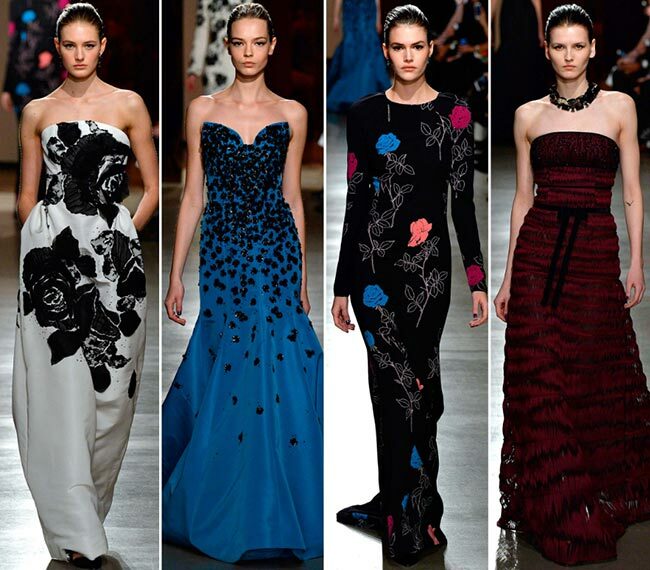 The gowns were lovely and the whole of 55-piece fashion line would have made de la Renta very proud. Considering all the obstacles faced, this was an incredibly graceful start to a new beginning.